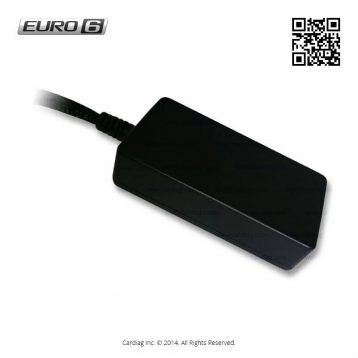 Iveco AdBlue Emulator EURO 6 is compatible with Iveco Eurocargo EURO 6 and Iveco Stralis EURO 6 truck series. This installation manual describes the whole process of AdBlue Emulator device installation on compatible Iveco EURO 6 vehicles. We highly recommend you to delete all DTC (Diagnostic Trouble Codes) errors from OBD (On-Board Diagnostics) system on your truck. The best option is to use the original Iveco diagnostic scanner. 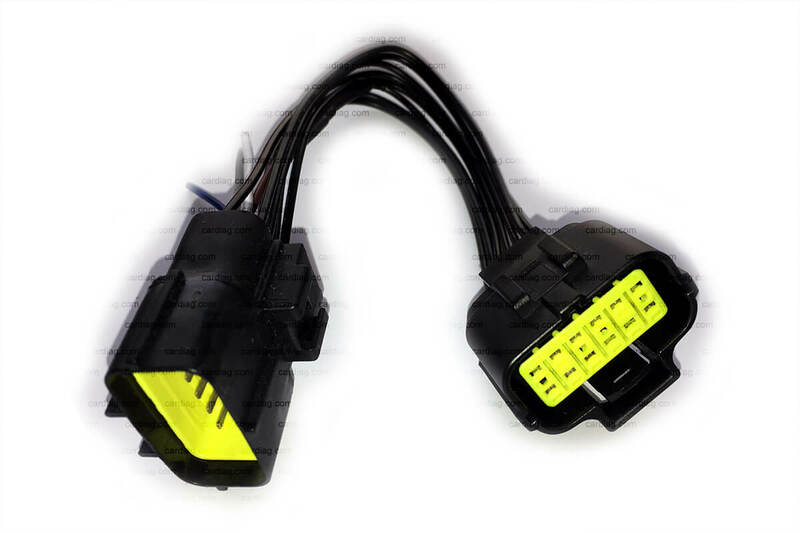 Also, it is recommended to check OBD system after installation of AdBlue Emulator module because there might be errors related to installation procedures. Before your proceed to the installation process please read an article about DPF filter removal from EURO 6 type trucks. Iveco AdBlue Emulator Euro 6 doesn’t require any pre-programming or learning. The best place to mount emulator is the connector of the DEF (Diesel Exhaust Fluid) tank (behind the front right wheel). Iveco EURO 6 trucks are equipped with quite sophisticated ECU (Electronic Control Unit) Bosch EDC17CV41 to control the SCR (Selective Catalytic Reduction) system. Some of the SCR system components must be in working condition to make the installation properly: AdBlue injector valve, directional sensors, exhaust gas temperature sensor. Iveco AdBlue Emulator Euro 6 overrides these components of SCR system: AdBlue pumps, NOx sensor, NH3 sensor. At this point, power remains disconnected from the NOx and NH3 sensors. The easiest way is to access the junction box and to remove the fuse No.3 (15A) of the block 70000/2. That’s it. If you did all steps properly your truck should run fine without any OBD errors and with zero AdBlue consumptions. Iveco AdBlue Emulator Euro 6 for Iveco Stralis EURO 6 doesn’t require any pre-programming or learning. This emulator comes with a plug for direct connection. The best place to mount emulator is the connector of the DEF (Diesel Exhaust Fluid) tank (behind the front right wheel). Iveco EURO 6 trucks are equipped with quite sophisticated ECU (Electronic Control Unit) Bosch EDC17CV41 to control the SCR (Selective Catalytic Reduction) system. Some of the SCR system components must be in working condition to make the installation properly: AdBlue injector valve, directional sensors, exhaust gas temperature sensor. Iveco AdBlue Emulator Euro 6 overrides these components of SCR system: AdBlue pumps, NOx sensor, NH3 sensor. Disconnect ST57 plug and connect the plug of the AdBlue Emulator, ST57 connects to the socket of the emulator. Now you need to connect emulator CAN wires to the vehicle CAN line. To do it you must locate plug ST55 (if you raise a cabin you should see it on the frame of the vehicle, next to the back side of the engine over the right wheel). Connect green wire of emulator (CAN H) to the wire that is connected to the pin Nr. 22 (ST55 plug), connect the yellow wire of the emulator (CAN L) to the wire that is connected to the pin Nr. 21 (ST55 plug). At this point, power remains disconnected from the NOx and NH3 sensors. The easiest way is to access the junction box and to remove the fuse Nr.4 (15A) of the block 70405. That’s it. If you did all steps properly your truck should run fine without any OBD errors and with zero AdBlue consumptions. AdBlue Emulator EURO 6 NOx installation on Iveco trucks was last modified: May 8th, 2017 by Cardiag Inc.